This year we have split the competition into categories instead of everyone competing for one title there are now 6 categories and there will be at least 6 winners. ✔️ Making it Concrete – Where you will work on your business proposition and outline to help provide a clear direction for where to go next. ✔️ Pitch Practice – Where you will practice your pitch and get valuable feedback from our angels. 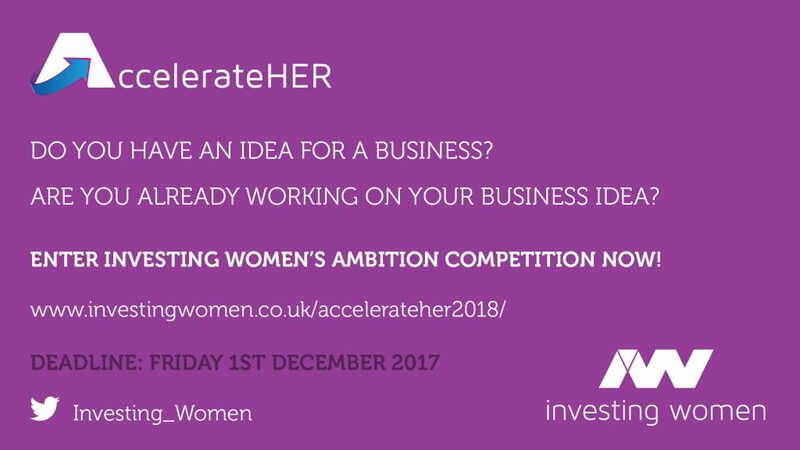 All entrants will be invited to our exclusive 2 day AccelerateHER bootcamp held in the new year, this is still being developed and more details will follow shortly. This event is exclusively for AccelerateHER entrants. Applying couldn’t be simpler, all you need to do is submit a 1-2 min video outlining your idea. This doesn’t have to be edited professionally and can be done on your phone! If you have any questions just email sam@invetingwomen.co.uk or reply to this email. The monumental fallout now underway from the Uber data breach in 2016 (!) has organisations as far as the eye can see frantically reassessing their security posture and ensuring that the risk to their own business-critical data is minimized. Identifies where you’re falling short of – and meeting – regulatory compliance. The long and short of it? When you’re summoned to demonstrate what steps your team is taking to prevent becoming the next Uber, you look like the smart one. Find out how secure you really are! P.S. There’s some really great content on the ZoneFox website that can tell you lots about how to protect sensitive information against the insider threat, ransomware, malware – and much more. Dive in!